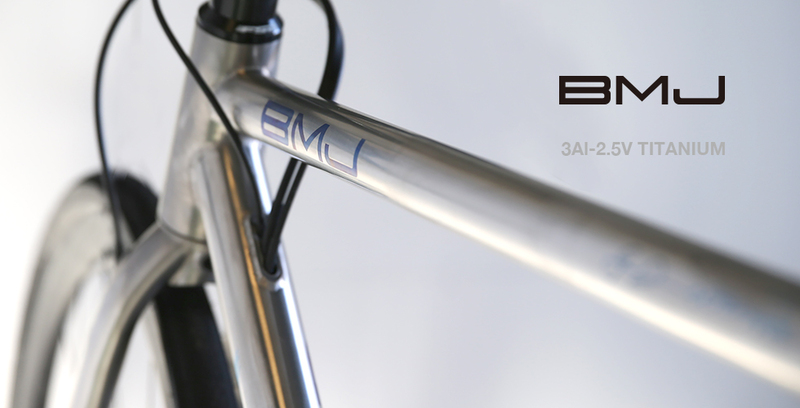 Our latest creation, the BMJ, is a 3Al-2.5V Disc brake road bike, but also much, much more. Change the tyres and gearing and you have a cyclo-cross race bike that any pro would be happy to ride. Add carriers with our hidden mounts to transform into a gravel touring machine. From the first push on the pedals, you’ll experience a new kind of freedom. 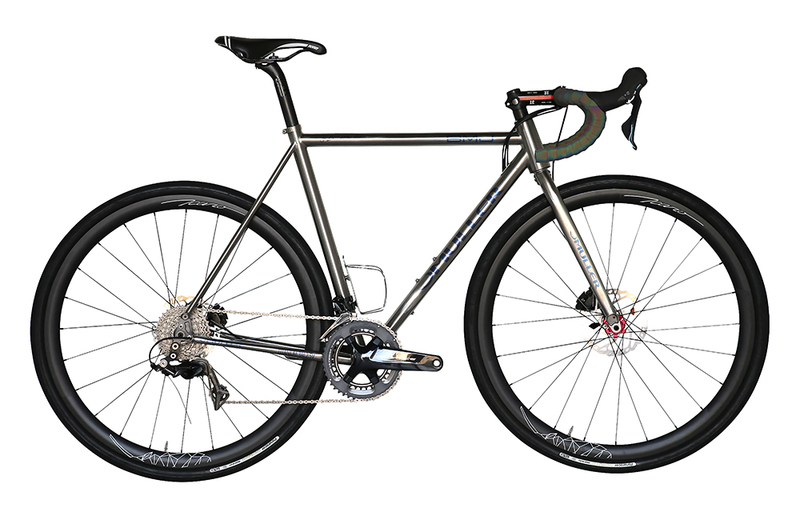 This bike is best suited to going long…you’ll find the stiffness necessary for an hour of CX racing, but the BMJ really shines on those all day rides with the compliance that only 3Al-2.5V Titanium gives. ↑↓ Internal hose and cable routing keeps it all clean and out of sight. 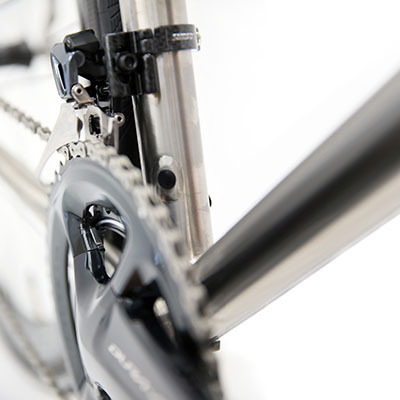 Integrated replaceable thru-axle rear dropout and hidden carrier mount. 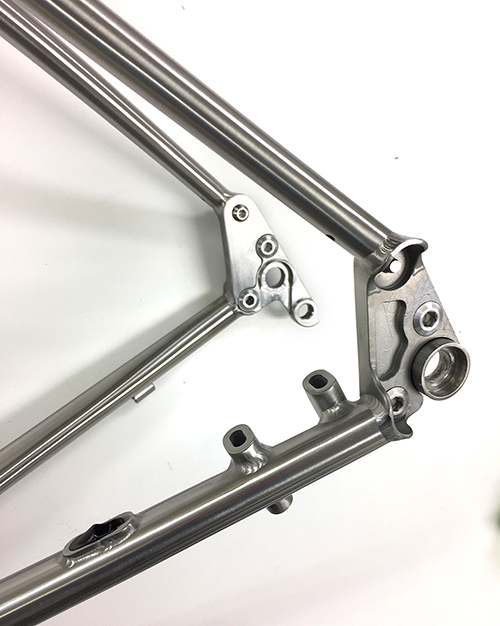 Flat mount brake and carrier mount on the fork. 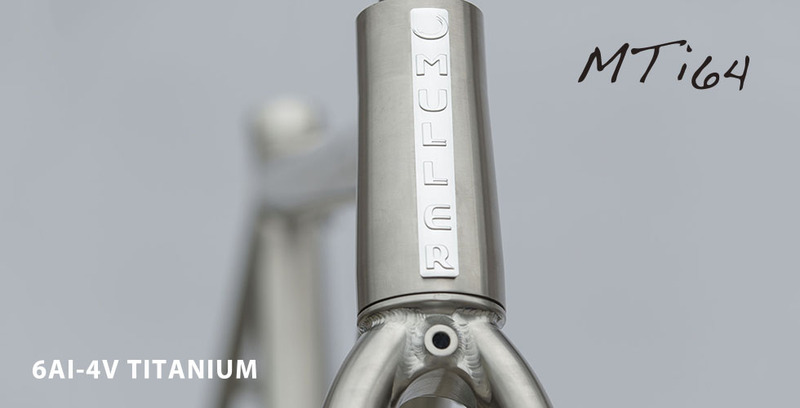 The MTi64 brings out the full potential of titanium. 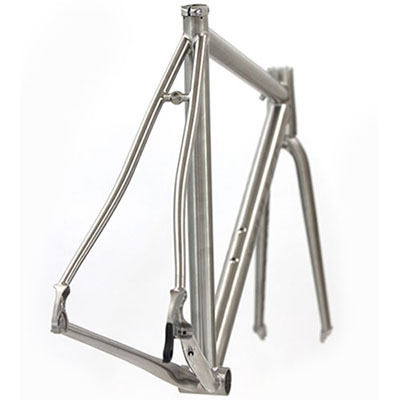 Utilising aerospace grade 6Al-4V butted titanium tubing, stiffness and responsiveness are the main characteristics of this bike. 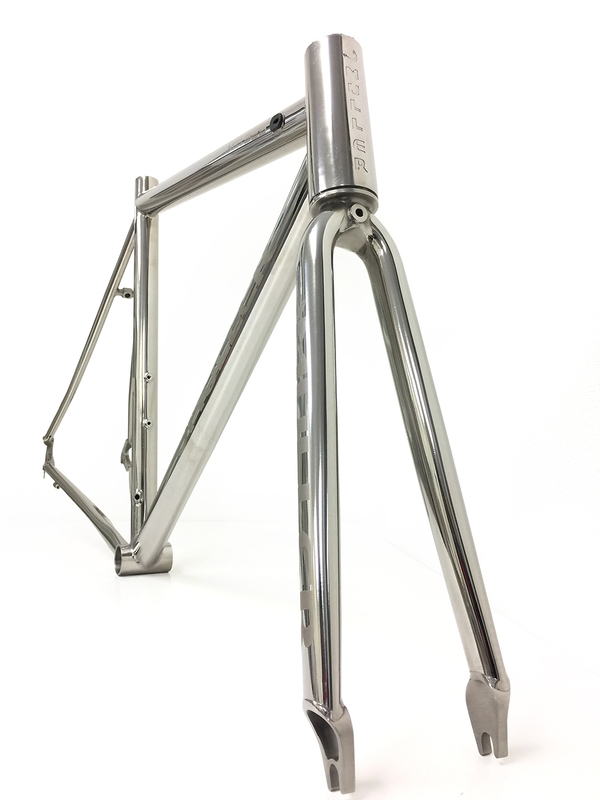 Modern metal frames are often paired with a carbon fork, but we have chosen a 3Al-2.5V titanium fork for its compliance to perfectly complement the stiffness of the frame. 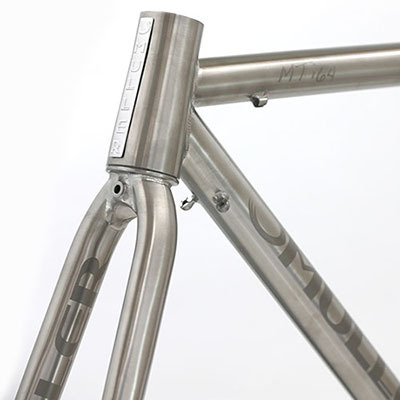 The race-bred stiffness of the frame combined with the road-hugging feel of the fork may be best compared to a formula one race machine. Adding impeccable style to performance, this is the bike for the racer who wants it all. 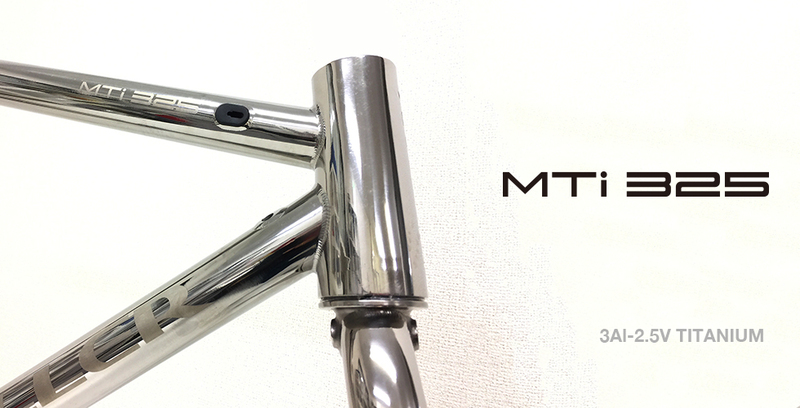 The MTi64 uses a tapered head tube for increased stiffness and responsiveness out of the saddle, and to ensure you always keep the line you want. 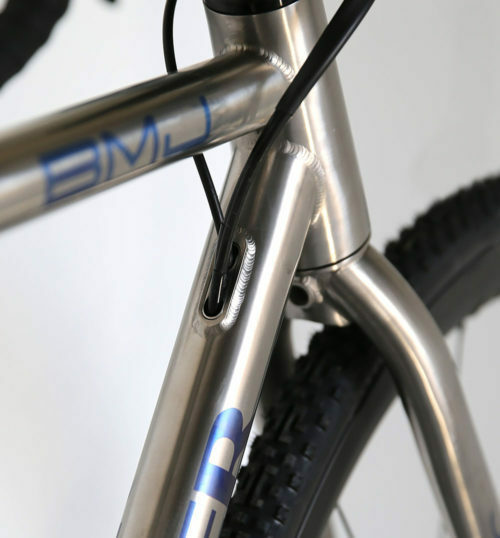 The butted 6Al-4V tubing provides the stiffness to transfer all your power to the road. 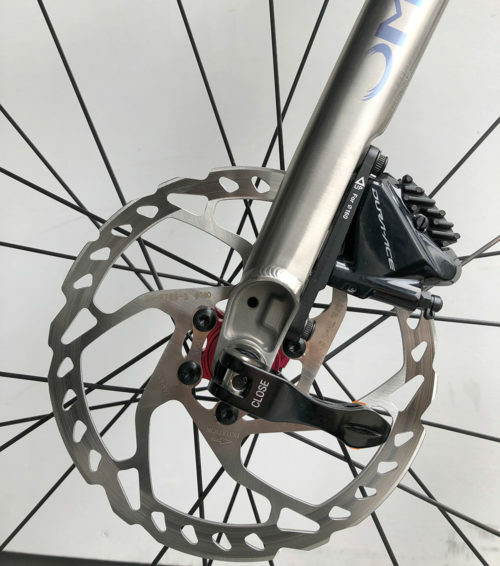 We’ve chosen an English threaded BB for versatility and reliability, and compatibility with electronic shifting systems provides options and peace of mind for life-long enjoyment. 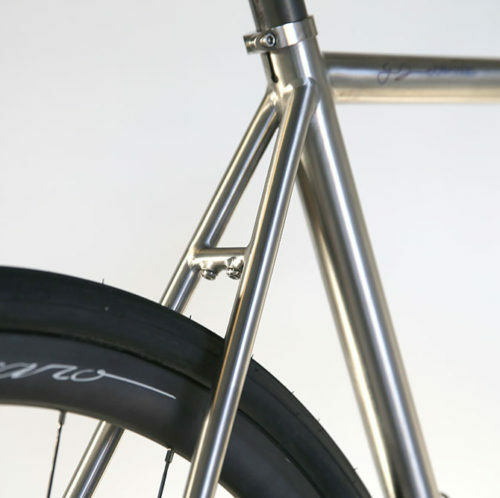 The MTi64 can also be built as a thru-axle flat mount disc brake version, for a thoroughly modern race machine. 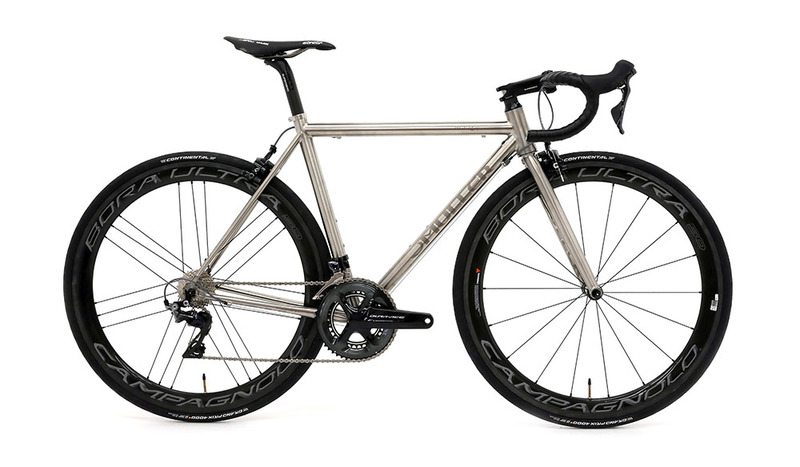 THE standard for Titanium bikes. 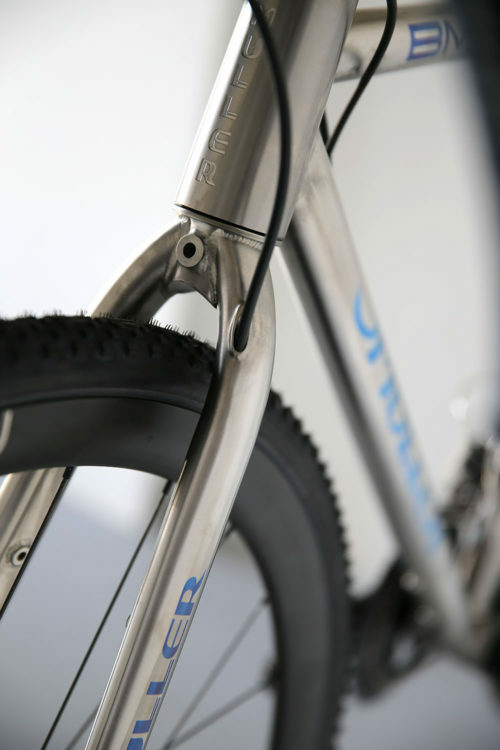 Built from 3Al-2.5V butted titanium tubing and paired with a fork to match, this bike gives a silky smooth ride without feeling soft and flexy. You have the choice of a whole range of options. 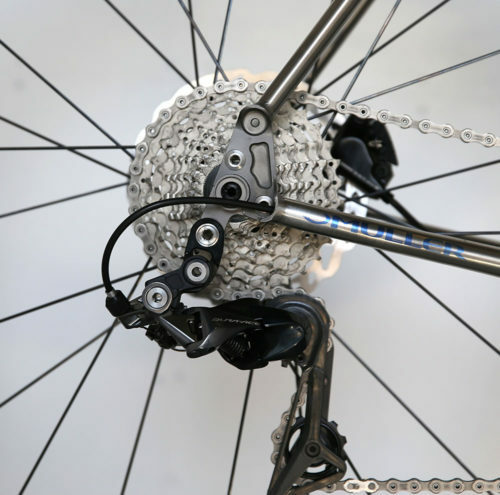 Rim or disc brakes, internal or external cabling, hairline finish or polished. Extra bottle cage mounts? Rack and fender mounts? No problem – make it YOUR bike.